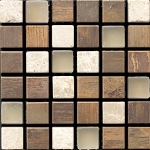 GS6001: Glass & Stone Mosaic is a square tile made of patterned glass and stone smaller square tiles that from afar, looks like a pixelated mosaic. 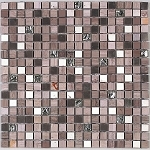 The tiles come in different shades of brown from pale beige to wood brown. It has a misty pattern that is very subdued and neutral. 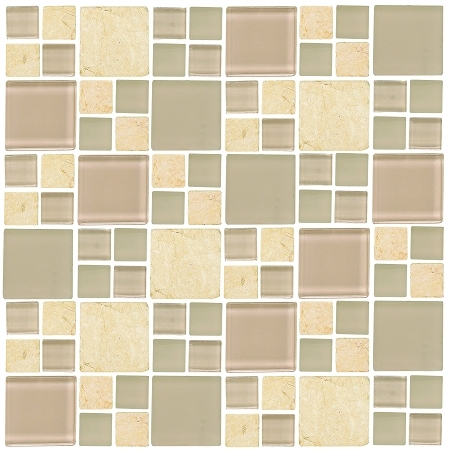 GS6001: Glass & Stone Mosaic is a versatile mosaic tile due to the neutral shades and pattern. 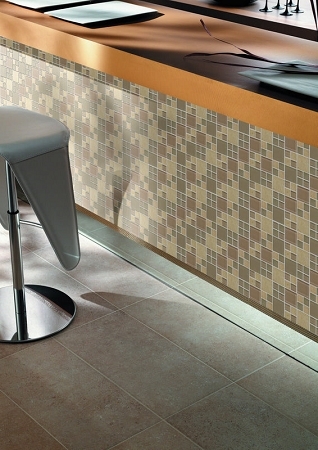 GS6001: Glass & Stone Mosaic is best used kitchen walls and floors although it can also be used in bathrooms and outdoor set ups such as outdoor dining areas or outdoor shower areas.